Even though there is a wealth of delicious British food to try when you’re in the UK, fish and chips remains the most iconic British dish. But when every pub on every street corner is selling it, you could end up being disappointed by something a little sub-par. 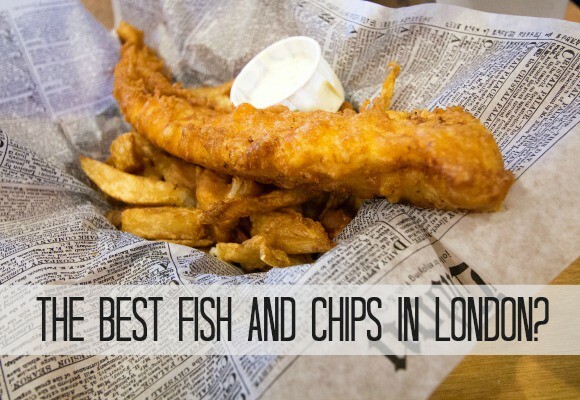 Make sure you sample the best and choose one of these 10 London fish and chip restaurants – we’ve selected the below based on a combination of London award-winners and customer reviews, so go forth and enjoy! This stylish restaurant is relatively new on the scene, being named as a finalist in Newcomer category of the 2016 National Fish & Chip Awards. The interior is clean and classic and a standard fish and chips will set you back around £13, not bad for Mayfair! 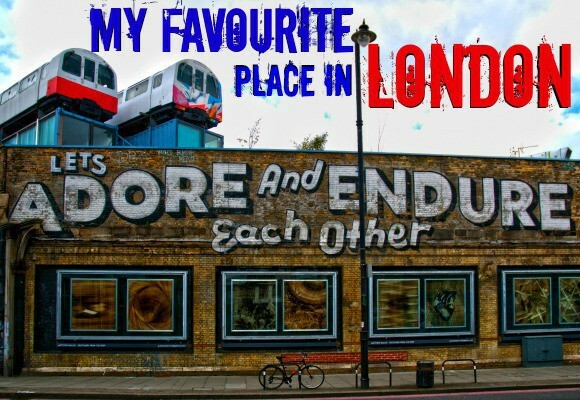 A South London option, Olley’s isn’t centrally located but worth the journey. A finalist in the Sustainable Seafood category in the 2016 National Fish & Chip Awards, all fish at Olley’s is fresh and ethically sourced. 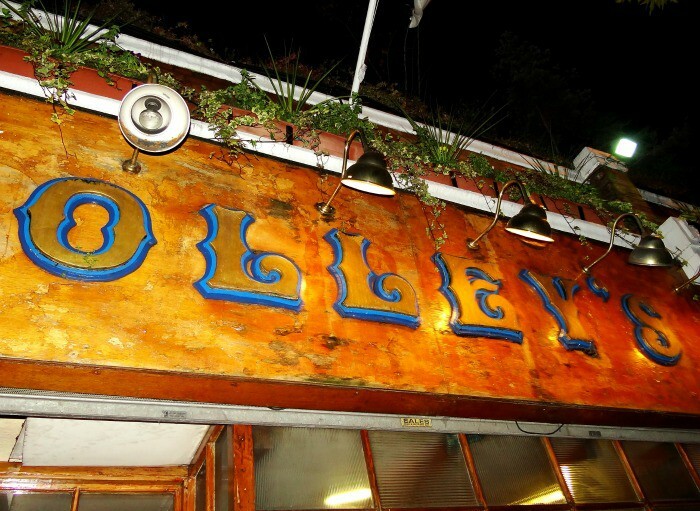 A traditional restaurant that has been around since 1987, you can get a small fish & chips at Olley’s for an incredible £5.50! A more upmarket option, the Bonnie Gull sells a variety of seafood dishes alongside classic fish and chips and some vegetarian options. Coming very highly recommended and with a handy central location, their classic fish & chips dish costs around £16. 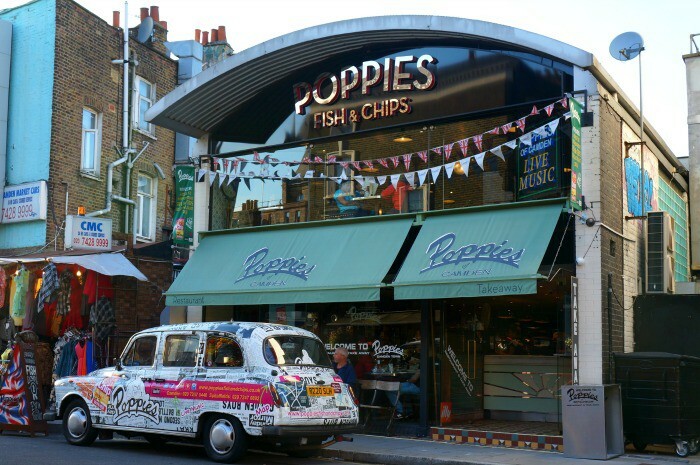 Poppies have two locations in London (Camden and Spitalfields) and were finalists in the Fish & Chip Awards in the Healthy Eating category – meaning you don’t have to feel too guilty when you head here for lunch! 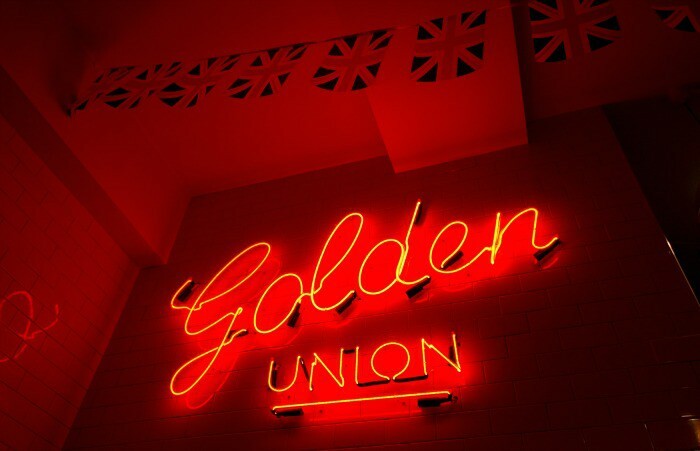 The place has a retro vibe and and is noted for it’s excellent selection of healthy menu options. A regular fish’n’chips costs around £12. Another option south of the river, Fish Club in Wandsworth is a safe bet for a plate of high quality and tasty British fish and chips. They serve a lunch special for around £8 and in the evening, the classic dish will cost you around £11. 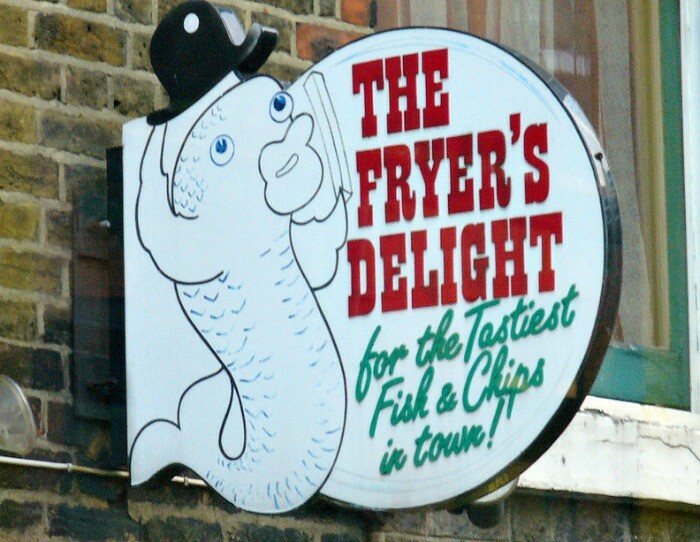 Head here for a super-traditional, cheap as chips (pardon the pun) British fish dish. It’s very central, so the perfect place to head for a quick lunch or dinner during a day of sightseeing. Fish and chips will set you back about £7.50, an amazing price for the centre of London. A very highly rated and recommended chippy in Fulham, Bailey’s is reliable, excellent quality and reasonably priced. Pick up a portion of fish’n’chips for the respectable price of around £7 and enjoy a delicious meal in a super traditional surrounding. 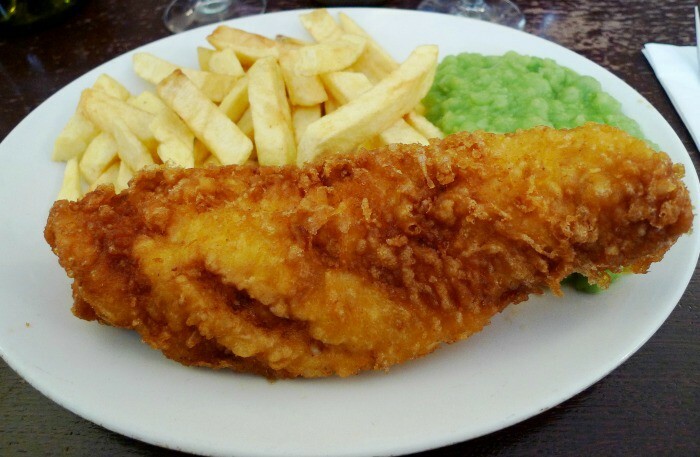 A good, reliable, centrally located fish restaurant that does great fish and chips and, if you’re heading there for your evening meal, it’s bring your own wine – which can be a great money saver. 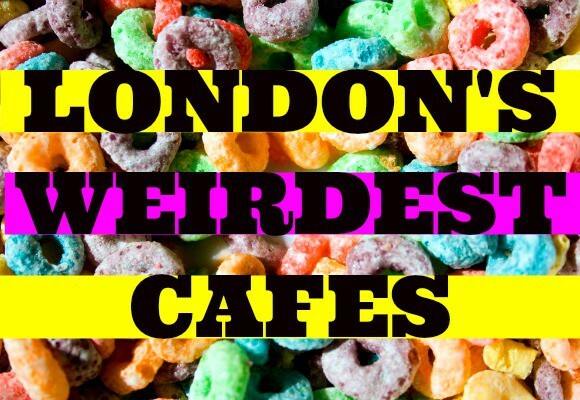 It’s slap bang in between Oxford Street and Madame Tussauds, so perhaps a good lunch option if you’re walking between the two! Another great chippy that is handily located in Soho, just off Oxford Street – this is a brilliant option for a lunch stop during a day of serious shopping. The fish is caught daily, the interior is very cool Britannia and a plate of fish and chips will cost you around £12. This one is a little out of the way, but worth a mention as it’s North London’s best chippy, having won several awards since it first opened back in 1968. 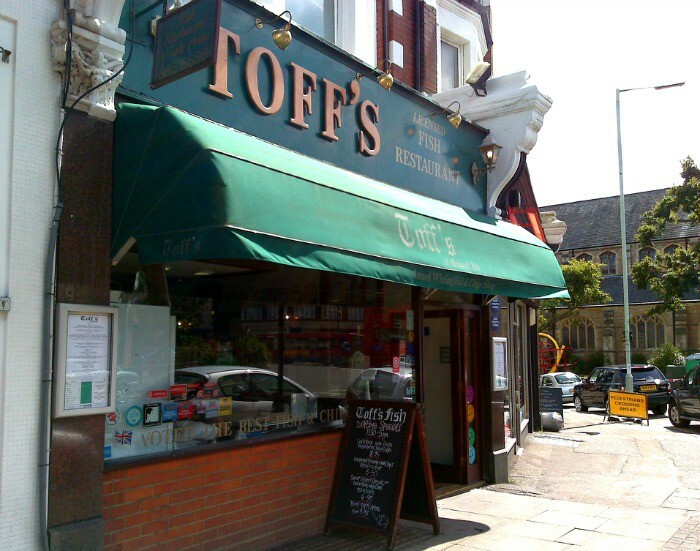 Fresh fish, reasonable prices and friendly staff, this is a great place to head after a walk around Highgate Wood or Alexandra Palace. Where’s your favourite fish and chip shop? Images from sstrieu, Ben Sutherland, RosieTulips, fsse8info, Ewan Munro, Andy L and Mark Hillary via Flickr.